LogMeIn, which threw its hat into the file-sync-and-store business with Cubby two years ago, is launching a new enterprise version of the service. Previously, Boston-based LogMeIn(s logm) offered Free and Pro versions, with lesser storage limits. The product, one of many vying to be the Dropbox equivalent for businesses, integrates with Active Directory — table stakes for such products — and more perks for IT administrators, including domain-based administration and the ability to remotely wipe data from lost or stolen devices. In a statement, LogMeIn CEO Michael Simon (pictured above) said the company is able to combine the ease-of-use required by consumers accustomed to Dropbox, with administrative management capabilities required by IT. 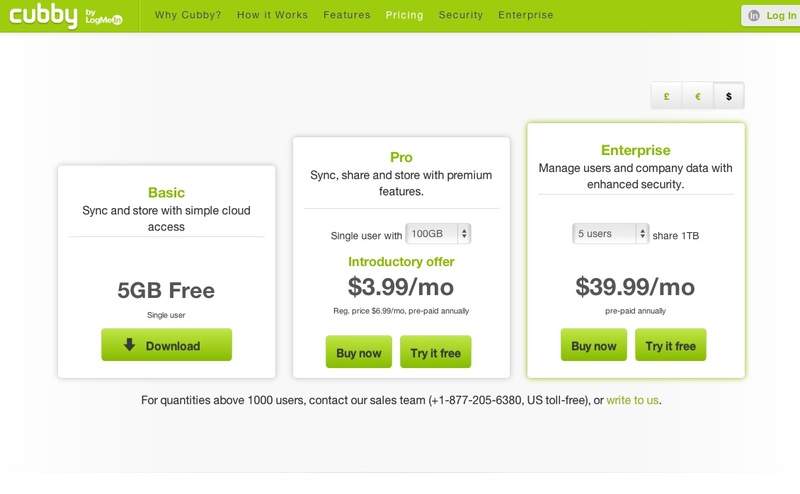 The service starts at $39.99 per month for five users — $479.88 per year prepaid annually — for 1TB of storage. Giving business users an easy way to store and access their data — and share and sync files securely — is a potentially huge market, but one that’s being contested by a dozen or more vendors — Accellion, Box, Dropbox itself, Egnyte and ownCloud, as well as eMicrosoft(s msft) and Google(S goog), which see cloud-based storage, file and sync as add-ons to their other productivity tools. LogMeIn’s strength lies in its large customer base of small and mid-sized companies and its experience providing a consumery look and feel. Google Drive has also made the market more interesting by lowering their prices. More competition means better over all use for consumers. Interesting times in this sector.